Did you just get a new home that needs refinishing done in your attic? Look no further because Century Insulation’s got you covered! We have all your attic insulation needs whether you are looking to insulate your whole attic or just patch it up a bit. Adding attic insulation to your St. Paul MN home will add equity to your home and reduce your energy bills. Adding insulation is super beneficial for your home. Everyone wants to stay cozy and warm in the winter and cool in the summer. Read more about Energy Rebates for your home when you insulate your attic. With the cold weather coming, you want to make sure you are prepared for ice dam issues. If you want to find out if your home has ice dam damage, we can perform ice dam analysis and repair. It is important that we fix all the potential areas for damage and prevent further issues. We also offer free energy efficiency inspections for homeowners. We can stop by and thoroughly inspect your attic and walls to determine if there are any air leaks. If you don’t know how much insulation you need, we can help you with that. We can recommend how much insulation you need based on the R-Value and what type of insulation you choose. Attic Insulation St. Paul MN | Contact Us! At Century Insulation, our experts have the experience that will benefit your home equity and energy bills in the long-run. Not taking care of your attic insulation St. Paul MN can cost you more money for many years to come. We are a preferred contractor for Xcel Energy and Centerpoint Energy. We are also BPI certified. 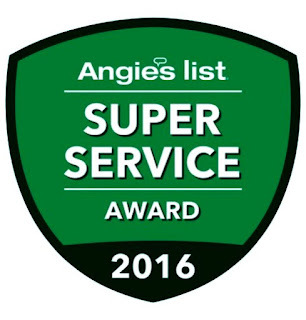 Find us on Angie’s List! Don’t hesitate to contact us at 763-270-8765 or email us at travis@centuryinsulation.com!